Theatre Trivia Tweet: Ancient Greek Playwright | All Tickets Inc.
Do you recognize the playwright we’re talking about? He was a great war hero and as a playwright is credited with adding the second lead actor to the theatre. 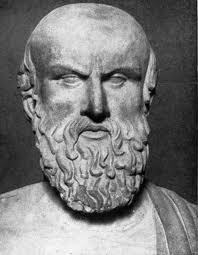 Tha wld be Aeschylus who is considered to be the first great dramatist.